Maximum convenience for home or clinic! 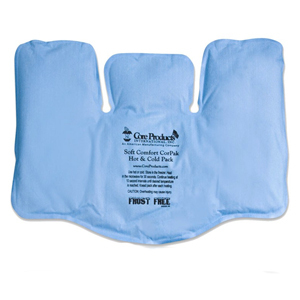 Can be microwaved to provide soothing heat or stored in freezer to offer penetrating cold therapy. Non-toxic flexible gel and vinyl conform to any body contour at any temperature. Available in 3 sizes. 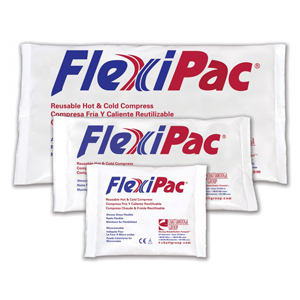 Flexible cold and hot applications can be provided by one pack. 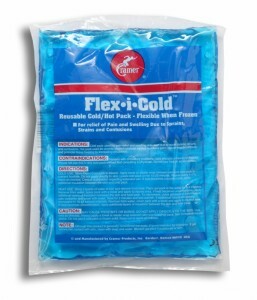 Non-toxic gel stays flexible to -4 ̊F and can also be heated to provide thermal therapy. Cold and hot use instructions on the puncture- resistant package. 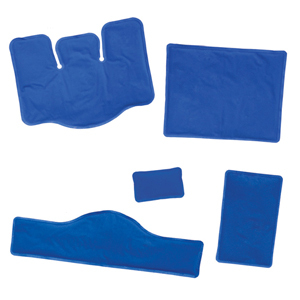 Two “frost-free” surfaces and a unique strapping system provide therapeutic temperatures with secure positioning. The plush surface provides slow-release treatment, while the rapid-release surface delivers quicker results with either heat or cold. Microwave or conveniently store in freezer, where they stay soft and pliable. Available in many sizes, including a tri-sectional shape that’s perfect for the neck and shoulders. Soft, “frost-free” cover. Store in freezer until needed. Heat in microwave. Non-toxic, biodegradable gel. Custom printing available. Call for details. Heating Instructions: Based on initial pack temperature below 75F (24C).